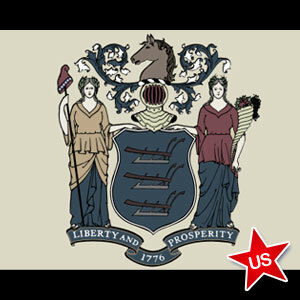 A bill to legalize online gambling sites on the desk of New Jersey Gov. Chris Christie, but the governor expressed concerns about signing the bill into law. A caller to an “Ask the Governor” radio show asked Christie Tuesday evening if he was leaning toward affixing his signature to the measure that the New Jersey state legislature overwhelmingly approved in December. Christie has until Feb. 4 to make his decision but was quite forthright in revealing two issues that are currently stopping him from picking up his pen. Christie’s first concern is that legalized online gambling might stop people from visiting Atlantic City and gambling in land-based casinos. New Jersey casino revenue was down 8% in 2012 from the previous year and has declined for six consecutive years after reaching a peak of $5.2 billion in 2006. If people can gamble in their own homes on their laptops, why are they going to go to Atlantic City? Christie said. And I think it’s contrary to what we’re trying to accomplish there. The second issue plaguing Christie’s decision involves gamblers becoming addicted due to the ease in which wagers could be made online if Internet gambling were legal. Christie pointed out that it takes effort to travel to a brick and mortar casino and having the option to gamble at your fingertips with a few clicks of a mouse may be a bit too easy and could create a whole new generation of addicted gamblers. The Garden State governor added that he is looking very closely at the bill’s particulars, having read it this past weekend along with considering input from his staff. Christie has roughly 10 days to make his decision and it’s likely that he will use all the available time at his disposal. Should he fail to act in the allotted time frame, the bill would become law. Christie vetoed a similar bill in 2011. Sen. Raymond Lesniak, the sponsor of both bills, has indicated that if Christie should again use his veto power, that it would be useless to continue trying to pass online gambling legislation while Christie remains in office.